10.30am. Arrive at Amelia Park and enjoy a wine tasting in their incredible private room that overlooks the vineyard. 11.20 Enjoy a seated private wine tasting in the award winning boutique gem Windows Estate. 12.15 Enjoy a private wine tasting at the hidden gem Cape Grace. 1pm. 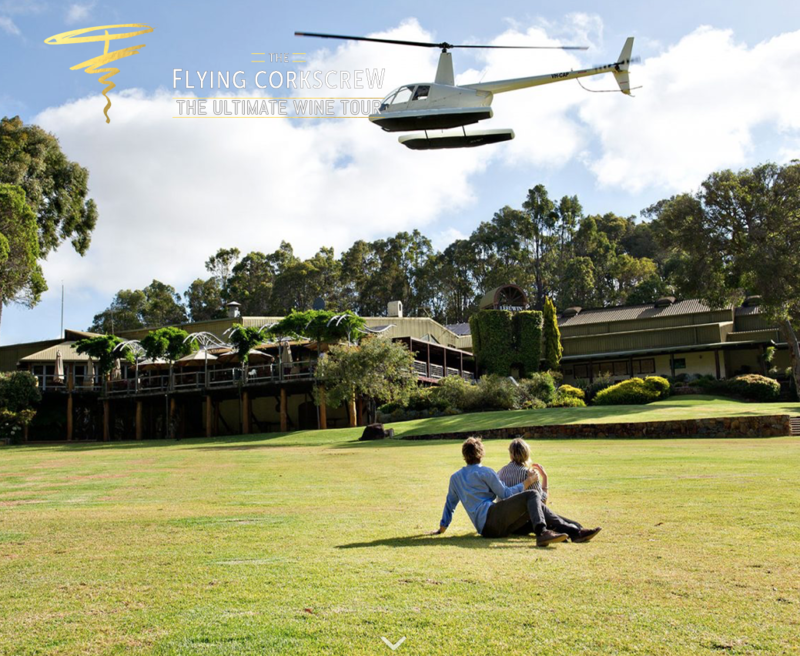 Helicopter will arrive at Cape Grace, then fly you over the spectacular coast of Margaret River before arriving on the grass in front of the restaurant at Leeuwin Estate. You will be greeted with champagne on arrival. 1.30 – 4.30 7 course degustation at Leeuwin with matching Art Series Wine. 4.30/5 Be picked up by car and dropped off at your accommodation. Having forged a reputation for fine art, food, and wine, Leeuwin Estate is a Margaret River icon. Running the culinary team is head chef Dany Angove, who combines passion with the ability to source high-quality produce locally. The restaurant has won numerous gold plate awards and was the 2012 regional restaurant of the year in the Western Australia Good Food guide. If the food is a highlight, then the wine is sublime – the art series range (particularly its chardonnay) is world renowned…..and you will be served it as part of the degustation!